CGCGolfShop.com now accepts the Go Play Golf Gift Card for online purchases. * Please Note: Using more than one card for your purchase? Please contact customerservice@goplaygolf.com first to have your cards combined. Please provide all card numbers in your email to get them combined. Add all items to your cart. On the “Shopping Cart” page, confirm the items and quantities, then scroll down and look for the “Gift Card” section halfway down the page. Click on the link to login (or register) to use your gift card. You are required to have an account to redeem the Go Play Golf Gift card on this website. Once you are logged in, return to the shopping cart page by clicking on the green Cart button located in upper right part of every page. On the back of the card, find the nine digit number (hint: it will always be preceded by four zeroes). This will require you to first scratch off any scratch-off areas you may find. 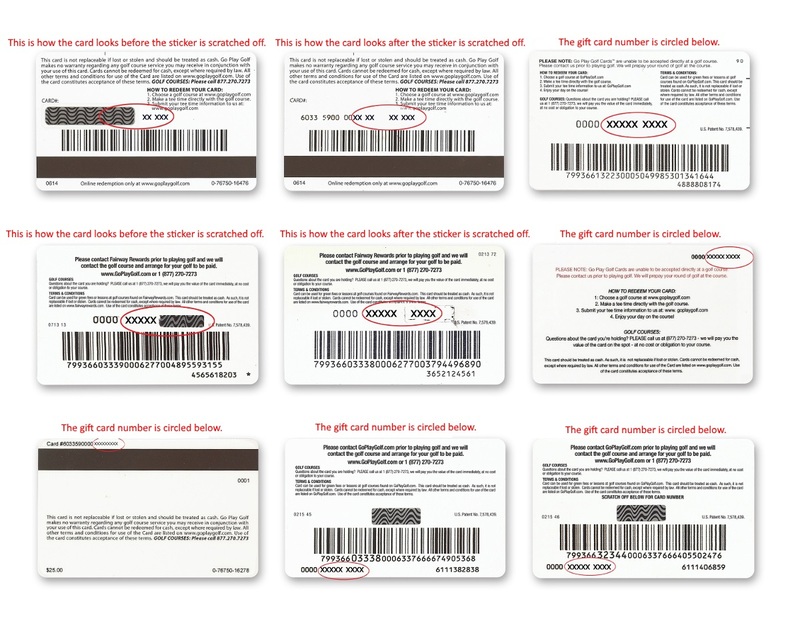 There are several versions of the Go Play Golf gift card, click here to locate the number on your card. Enter the nine digit number that follows the 4 zeros (no spaces please). Then click on the “Update Cart” button. Once the card balance is displayed, continue the checkout process. The gift card balance will be applied after confirming the order. If the gift card balance is not enough to cover the entire cost, you will have the opportunity to finish the transaction with another payment method.